Underrepresented students are more likely to enter college with less preparation resulting from limited access to rigorous STEM/computer science courses in high school. Students who do not take AP Computer Science are 8X less likely to pursue college degrees in computer science. 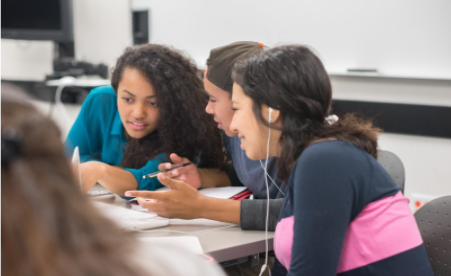 Black, Latinx, and American Indian/Alaskan Native students have less access to advanced math and science courses in high school and are more likely to be tracked into lower level math and science courses than their peers. Students in high poverty schools are much less likely to have access to advanced math and science courses (like Calculus and Physics) than students in low poverty schools. Only 1 in 4 students (26%) who attend high poverty schools have access to any CS course in their school. Family wealth and income affects college choice, ability to attend school full-time, and the amount of debt accrued by the time of graduation. 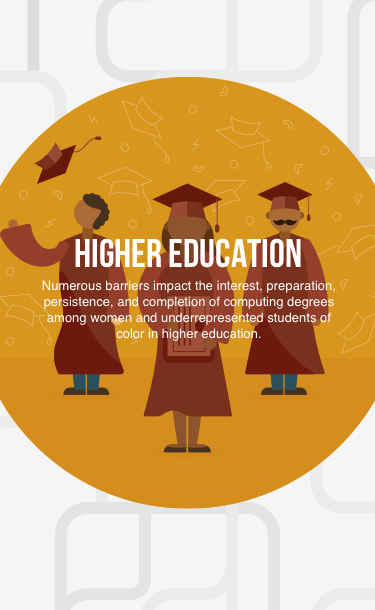 Students of color are more likely than White students to not finish college due to financial barriers and the need to work to support themselves and their families. The generational wealth gap impacts which schools students attend and the ability to finance higher education. Undocumented students are unable to receive financial aid or most loans to pay for college, severely restricting their access to higher education. By the time of college graduation, Black graduates have nearly double the amount of student loan debt White graduates hold, and this gap increases substantially each year post-college. The median wealth of White households is 13x higher than the median wealth of Black households. 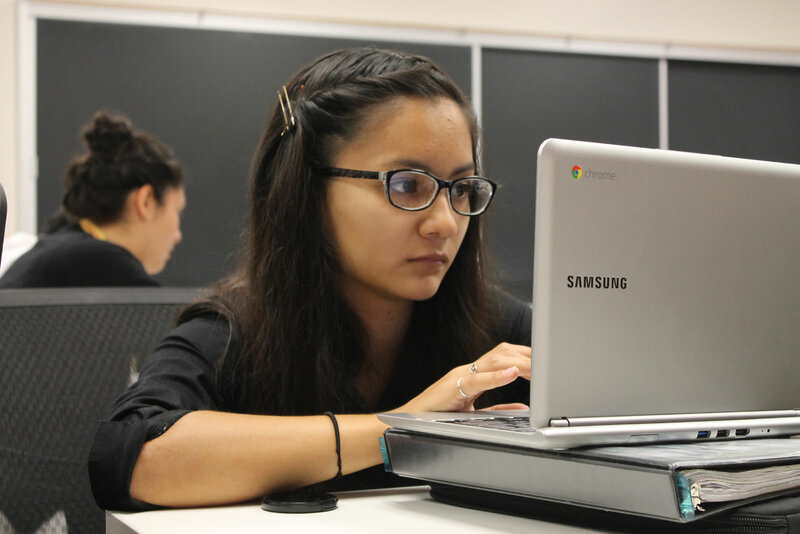 The lack of women and students of color in computing contributes to the limited peer networks, mentors, and role models for students from diverse backgrounds. 6% Black and Latinx instructors combined are just 6% of CS faculty, significantly reducing exposure to underrepresented role models in CS. Black students are more likely to persist in a STEM major if they have a STEM course taught by a Black professor. Women who take STEM courses with female faculty have greater confidence and intentions to pursue STEM careers than women who do not. The lack of exposure to faculty from diverse backgrounds has a negative impact on identification with STEM, knowledge of STEM pathways, and interest in pursuing computing careers. 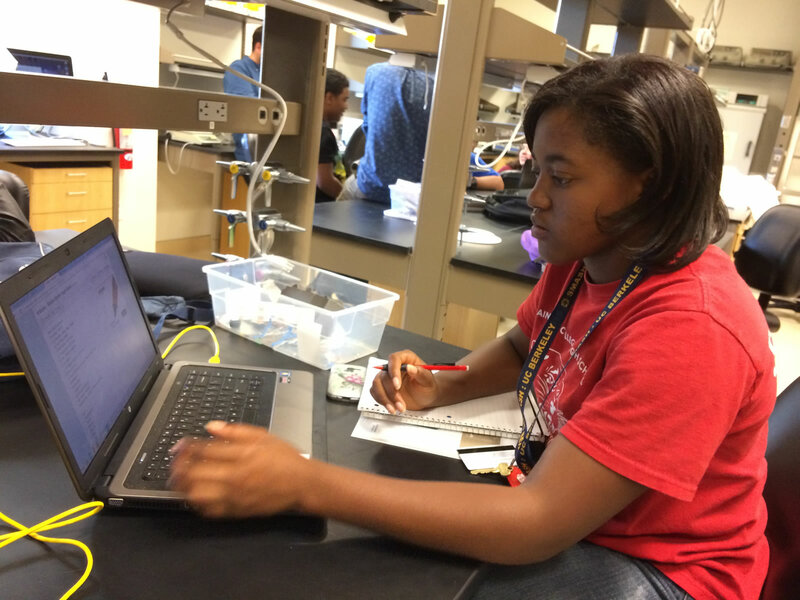 Underrepresentation in STEM also means less dense networks of peers of color in STEM majors. This contributes to decreased motivation, self-efficacy, and academic and social support for students of color in STEM majors. Students from underrepresented backgrounds experience subtle biases in classrooms and on campus that impact their satisfaction, persistence, and retention. Women and students of color report experiencing microaggressions, or subtle acts of bias and discrimination, in interactions with peers and instructors in college classrooms at much higher rates than their peers. These experiences can include negative comments, having contributions or participation ignored, questioning one’s ability and background, lower expectations, and differential treatment by professors and advisors, all of which affect the self-efficacy, engagement, performance, and mental health of underrepresented students. Experiencing a “chilly climate” in classrooms can also affect confidence, participation, retention, and career aspirations among women and students of color. Experiencing microaggressions on college campuses negatively impacts student engagement and retention. The computer science classroom environment can impact underrepresented students’ sense of inclusion and belonging. Stereotypical cues (e.g., game posters, choice of decor, etc) in college computing classrooms can have detrimental outcomes for underrepresented students who don’t identify with the images and culture represented and may disidentify with computer science, leading to decreased aspirations to study computing. Environmental cues can also decrease underrepresented students’ sense of belonging in the field of computer science. When stereotypical cues are removed from computing environments, underrepresented students’ sense of belonging has been shown to increase. Environmental cues in classrooms can encourage or discourage engagement in computer science. Computer science courses often lack engaging and relevant curriculum aligned with tech workforce needs, particularly impacting the participation of underrepresented students in computing majors. 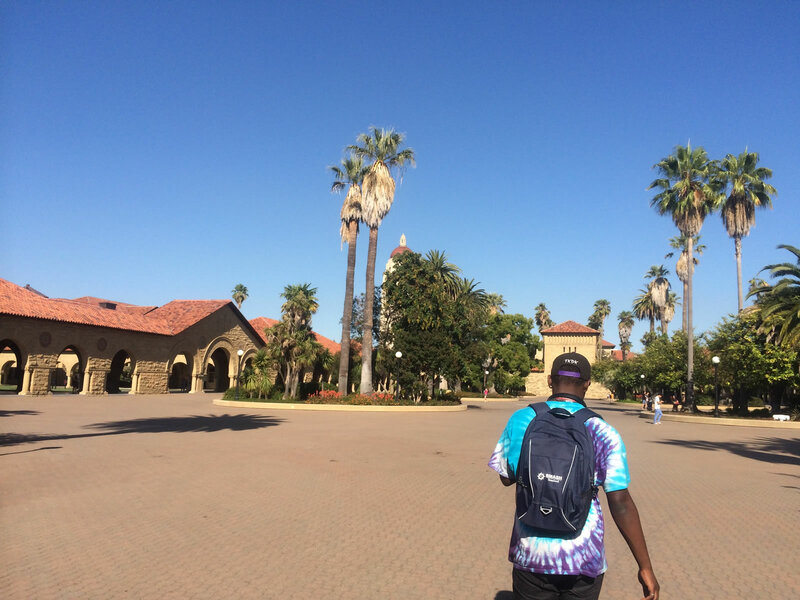 Without curriculum that is engaging, culturally relevant, or aligned with the interests of underrepresented groups, CS will continue to be perceived as solitary, lacking interaction, and lacking connection to societal challenges. Colleges vary tremendously in the type of curriculum that is taught, with many universities having outdated curriculum that is not aligned to the needs of the tech workforce, and affects the matriculation of students into tech jobs. Demonstrating the applicability of computational thinking to every field of study and how computer science can change the world can increase interest in computing. Both conscious and unconscious biases held by faculty and other gatekeepers affect perceptions about ability and in turn, affect behavior and attitudes towards students. Studies estimate that up to 25% of White adults view Black adults as less intelligent than Whites. Implicit stereotypes that associate men and masculinity with STEM fields and women with liberal arts are pervasive (found in over 70% of adults across 35 countries). Implicit stereotypes demonstrating a preference for White people over Black people were found among nearly half of White study participants. Implicit stereotypes demonstrating a preference for White people over Black people were found among over half of White study participants. STEM stereotypes also affect the performance, identification, and interest in STEM fields among underrepresented groups. The internal threat or fear of confirming a negative stereotype associated with one’s marginalized group membership can have a variety of negative consequences. Stereotype threat impairs the performance of negatively stereotyped groups, including women and people of color in STEM courses. Stereotype threat: The risk and fear of confirming a negative stereotype about one's own group. 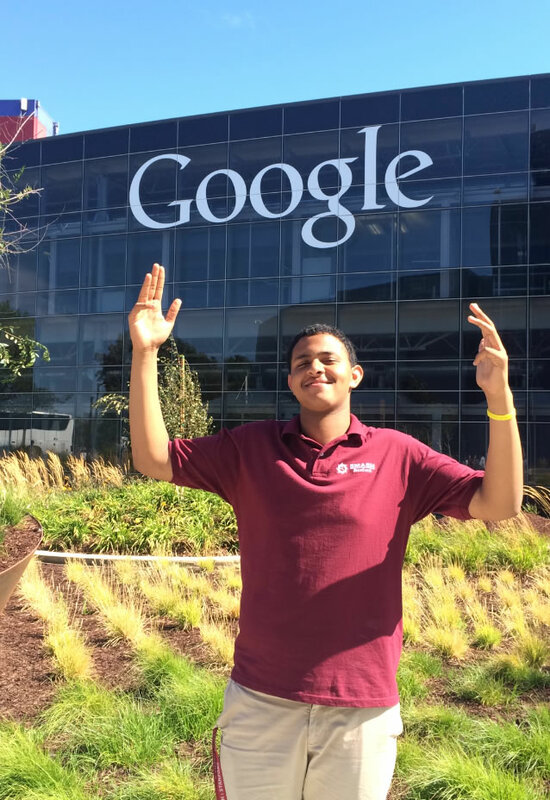 Underrepresented students lack access to programs and social networks that prepare and connect them with internship and workforce opportunities. Lack of access to informal social networks and capital, lack of recruitment at universities with diverse populations, curriculum misalignment and the over-reliance on recruitment from the same set of elite universities results in the lack of diversity in the intern population. At many tech companies, an internship is a foot in the door, and companies often convert up to 52% of their interns into full-time employees. There is limited information on the efficacy of programs designed to provide alternative pathways into tech jobs (bootcamps, apprenticeship programs). 20% of Computer Science degree earners are Black or Latinx, yet only 5% of engineering interns from Pinterest and 10% of engineering interns from Twitter are Black or Latinx. The Kapor Center for Social Impact aims to make the technology ecosystem and entrepreneurship more diverse and inclusive. We are particularly interested in positive social impacts for communities that have historically been on the periphery of access to opportunity, participation and influence in the United States.